Though today’s stage was pretty much all about the last climb up to the finish line, the category 3 Mur de Bretagne, it was a finish that threw up plenty of surprises, making a mostly slower day in the saddle well worth the watch. 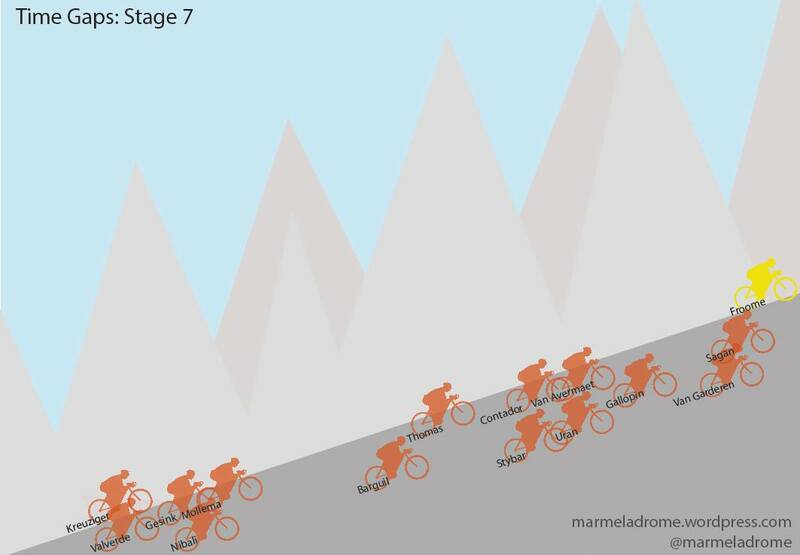 Tour de France 2015 Stage 7: Cavendish Wins Sprint Ahead of Greipel, Sagan, Degenkolb. Visual display of the time differences between the top 15 riders at the end of the first week of this tour. (Click to enlarge) Credit due to Kate Townsend. 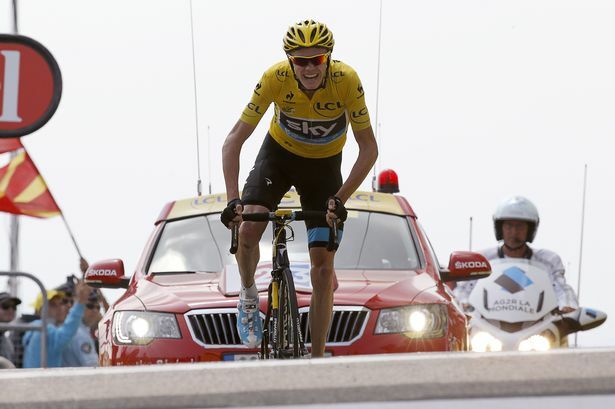 What a funny first week it’s turning out to be in this, the 102nd Tour de France. We’ve seen unexpected gaps, unpredicted time trials speeds, and now, on stage three, the controversy that was the unprecedented decision by race referees to neutralize the race for twenty minutes.